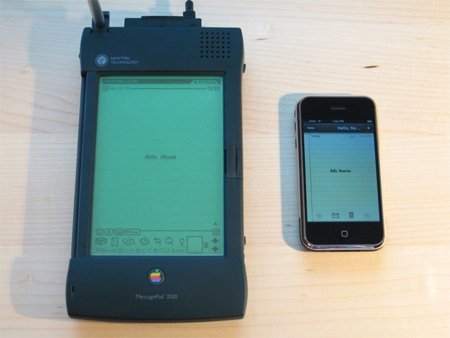 I stumbled across this gallery last night, comparing the iPhone and the Newton. I gotta say I’m a bit stunned by how big that Newton looks. Of course, I knew the Newton was substantially larger than it’s modern equivalent, but MAN – that Newton looks like something on Star Trek TOS.